Marianne was seventeen when she fled her home in Nusstead – leaving behind her family, her boyfriend, Jesse, and the body they buried. Now, thirty years later, forc Erin Kelly, the masterful author of He Said/She Said, delivers another irresistible, unputdownable novel of psychological suspense. Susanne Strong Kat wrote: "Fabulous review Susanne!💖😉"
Mike Terrific review, Shelley. Compelled to add this one to the mountain. ʚϊɞ Shelley ʚϊɞ Mike wrote: "Terrific review, Shelley. Compelled to add this one to the mountain." Thank you so much, Mike. I really enjoyed how different this one was Mike wrote: "Terrific review, Shelley. Compelled to add this one to the mountain." I just received an ARC of this title from MacMillan Publishers with a paper highlighting the features of the Royal Park Mayor. Thanks MacMillan - so excited to read another novel by Erin Kelly and a mental hospital to boot! Thank you to Netgalley, the author, and the publisher for this ARC. Erin Kelly does it again. What a deep, dark, muddy thriller. So well written, deeply felt and wonderfully gothic. I loved the characters, I loved the history and the grit. I fell so hard for He Said/She Said and this one was just as good. A turbulent first love, dark secrets and fragile characters. I highly recommend this one. 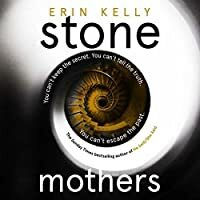 Stone Mothers, the latest from Erin Kelly who wrote my beloved Poison Tree, is a multi-generational thriller about the shameful history and enduring stigma of mental illness. I hoovered through this — it’s absolutely cracking, gut-wrenching, smart. 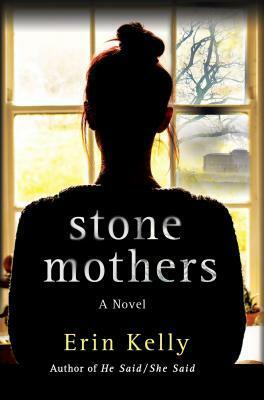 There’s a hint of Sarah Waters about it; Stone Mothers transcends crime and tiptoes into well-crafted tragedy. An old mental hospital whose ghosts still linger years after the doors have closed. And one woman who grew up in the shadow of the hospital, who now lives in the renovated flats there, thanks to her husband. She wants to be close to her mother who is ill, but she never expected to be inside these walls or back in this town. This is not a ghost story but there are plenty of them floating about in the walls and in the minds of the characters. An old mental hospital comes with its associated faint screams, moans and tragic stories anyway, so to live in renovated flats there, from someone who feels the ghosts of the past anyway.. The novel was one of foreboding and dread throughout and it made for a compelling read. It’s a novel which builds and builds and creeps up on you making you feel really uneasy and unsettled. I read this over Halloween and during the dark nights and boy did that ramp things up! What was particularly gripping – apart from the plot and the characters of course – was the level of insight and information about the way mental hospitals used to work and how mental health was viewed years ago. Quite recently when you think about it, and that is scary in itself. There were lots of Erin Kelly moments – one where you want to high five the woman for writing. 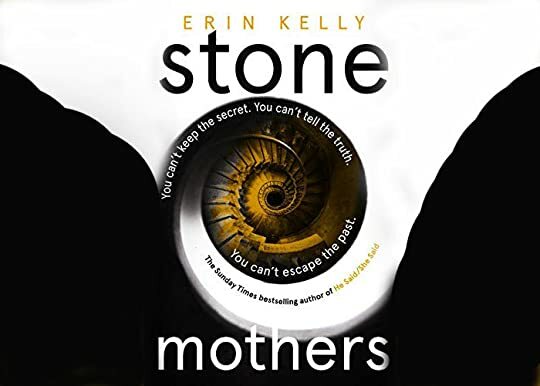 And little snippets of information such as why we use the phrase ‘She’s going round the bend” to suggest madness, and why Stone Mothers is the clever title it is.